Austin Morgan left the safety of his home in Charleston, accepting a position in New York City to make a name for himself. He wanted to earn his reputation through hard work, inventive ideas, dedication, and not by the legacy or influence of his family’s name. 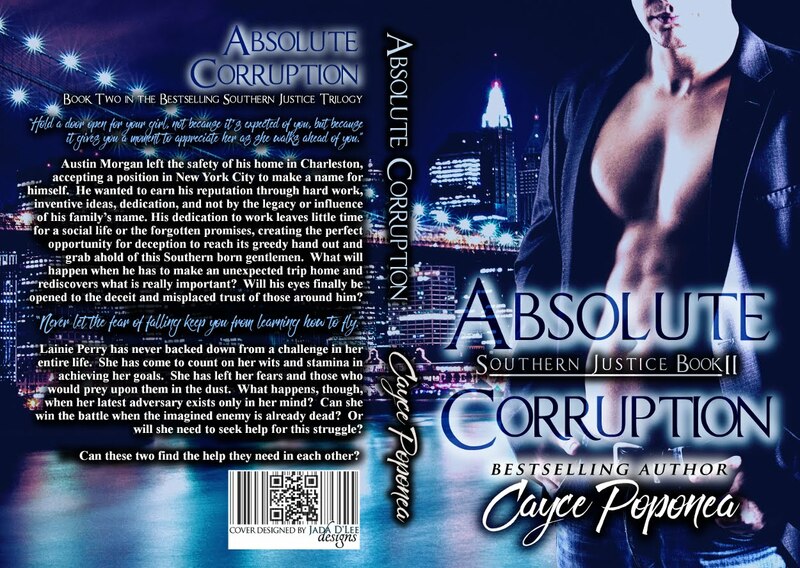 His dedication to work leaves little time for a social life or the promises forgotten, creating the perfect opportunity for deception to reach its greedy hand out and grab ahold of this Southern born gentlemen. What will happen when he has to make an unexpected trip home and rediscovers what is really important? Will his eyes finally be opened to the deceit and misplaced trust of those around him? 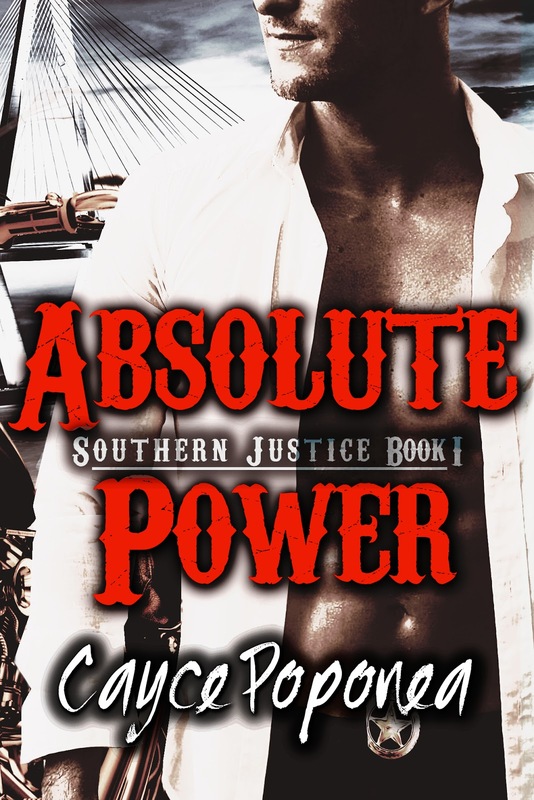 Lainie Perry has never backed down from a challenge her entire life. She has come to count on her wits and stamina in achieving her goals. She has left her fears and those who would prey upon them in the dust. What happens, though, when her latest adversary exists only in her mind? Can she win the battle when the imagined enemy is already dead? Or will she need to seek help for this struggle? Can these two find the help they need in each other? 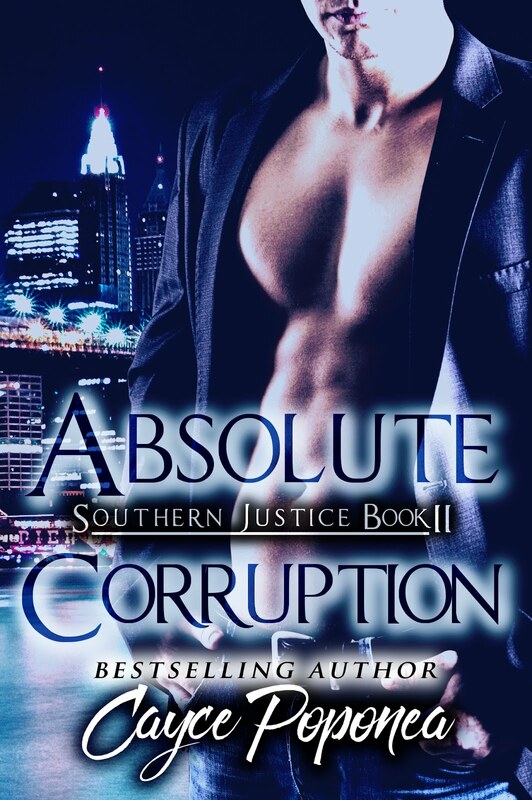 The answer is… Absolute Corruption, the second installment of the Southern Justice Trilogy. 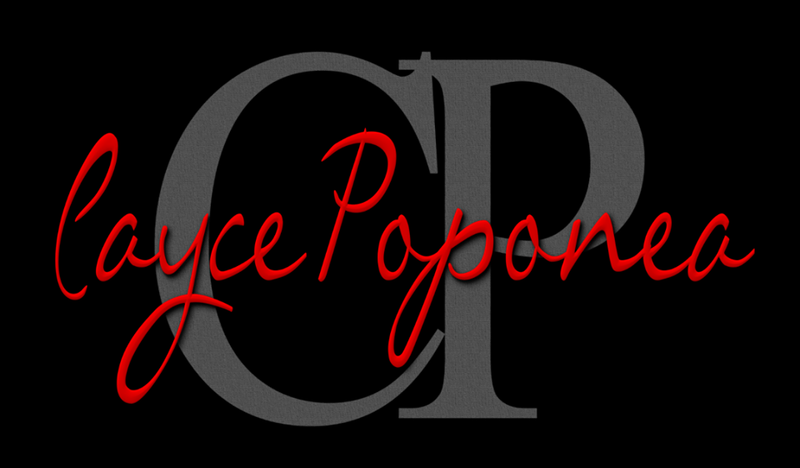 Cayce Poponea currently resides in Southern Georgia, with her three dogs and wonderful husband. A true romantic at heart, she writes the type of fiction that she loves to read. 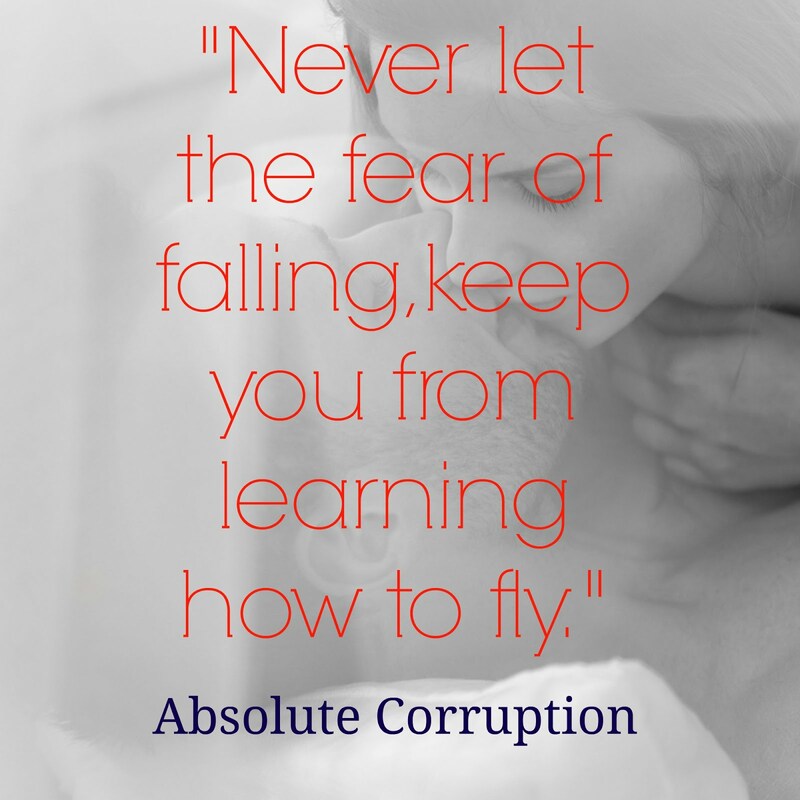 When she isn’t setting behind her computer screen, creating yet another heart stopping, page turning novel. You can find her enjoying down time with her family.